On July 10th, 2012 the 77th General Convention of The Episcopal Church authorized A049, the Resolution to Authorize Liturgical Resources for Blessing Same-Gender Relationships. Bishops William Love and Daniel Herzog and the Albany Deputation to General Convention were united in voting against this Resolution. By both our vote and the testimony we sought to graciously oppose this resolution while at the same time speaking the truth in love as the Church has received that truth. (Ephesians 4:15). The Diocese of Albany, through its Bishops and Deputation, sought to uphold the biblical and traditional definition of marriage as the union of one man and one woman. In doing so, we were obedient to Holy Scriptures, The Book of Common Prayer, The Episcopal Church Constitution and Canons, and own our Diocesan Canons. It is important to note that the new rites are not to become part of the Book of Common Prayer or any other liturgical publication of the Episcopal Church. Bishop Love and other bishops, traditional and liberal, worked to include provisions in the resolution that protect bishops and priests who cannot for the sake of conscience authorize or use the liturgy. Dean David Collum was able to speak to the resolution in the House of Deputies before the limited debate was terminated by pre-arranged parliamentary rules. In his comments Dean Collum offered that, among other theological problems created by the resolution, its adoption by the General Convention would further divide the Episcopal Church and the worldwide Anglican Communion and compromise our ecumenical relationships. 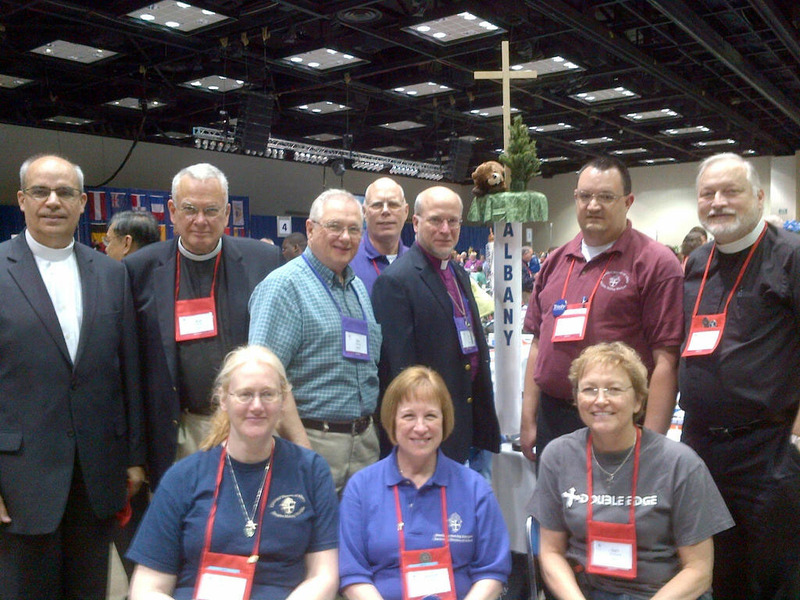 On July 11th, 2012 a group of bishops including Bishop Love and Bishop Herzog issued a statement which was read on the floor of the House of Bishops. This same statement was read from the floor of the House of Deputies on July 12th, 2012. Those deputies who supported the statement stood in place as it was read. The statement is available http://www.albanyepiscopaldiocese.org/. For over a decade the Diocese of Albany has been working to persuade theological traditionalists to remain in the Episcopal Church and to persuade theological liberals to remain in the Anglican Communion. We remain committed to these efforts, though they are made much more difficult by the adoption of Resolution A049. We ask you to join us in prayer for God’s One, Holy, Catholic and Apostolic Church. This entry was posted on Monday, July 16th, 2012 at 11:56 am	and is filed under Uncategorized. You can follow any responses to this entry through the RSS 2.0 feed. You can leave a response, or trackback from your own site.